ثبت نام در سمینار هم اکنون ثبت نام کنید! 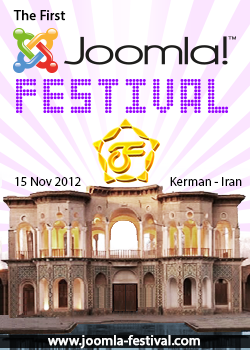 Copyright © 2012 JoomlaFarsi.com - All rights reserved. بازنشر محتویات این سایت تنها با ذکر منبع و درج پیوند فعال به مطلب مربوطه مجاز است. JoomlaDay™ events are officially recognized, but not organized, by the Joomla!® Project and Open Source Matters, Inc. Each event is managed independently by a local community.